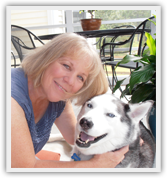 Sandhills Dog Training LLC is owned and operated by Abby Ganin-Toporek CPDT – KA based in Moore County, N.C. In 2010 Abby received her training and certification from Highland Canine Training where she focused on basic and advanced obedience as well as behavior modification. After graduating from the program, Abby continued to educate herself and has successfully and proudly achieved the title as a Certified Professional Dog Trainer – Knowledge Assessed. The Association of Pet Dog Trainers, a national organization, monitors, educates and tests trainers to give dog owners an opportunity to hire a trainer that has the knowledge needed to properly help them with the training as well as any behavior problems. To further provide clients with an opportunity to train their dogs to become a welcome member of the community and their pledge to be a responsible dog owner , Abby has become a certified evaluator for the AKC Canine Good Citizen program. Many of her clients who have successfully completed this program have gone on to become certified as therapy dog partners. Since moving to North Carolina in 2010, Abby has been deeply involved in the efforts of the local shelter and rescue groups. In 2013 Abby was appointed to and serves on the Advisory Board created to work with the Animal Center of Moore County . The goal of the board is to advise and work with the animal operations staff in order to significantly reduce the euthanasia rate and work toward the goal of a no-kill shelter. Abby volunteers at the shelter working with the dogs directly as well as with the volunteers to implement training and techniques for creating more adoptable dogs that will transition into a home environment more easily. TRAINING with POSITIVE REINFORCEMENT is the approach of Sandhills Dog Training LLC. This philosophy of training has proved to be the most effective method for both owner and dog in providing long-term learned behavior. From basic obedience to phobias, and all forms of aggression, your dog can become a well-behaved and balanced member of your family. We believe that with the proper techniques, knowledge and effort, that any dog can be trained.